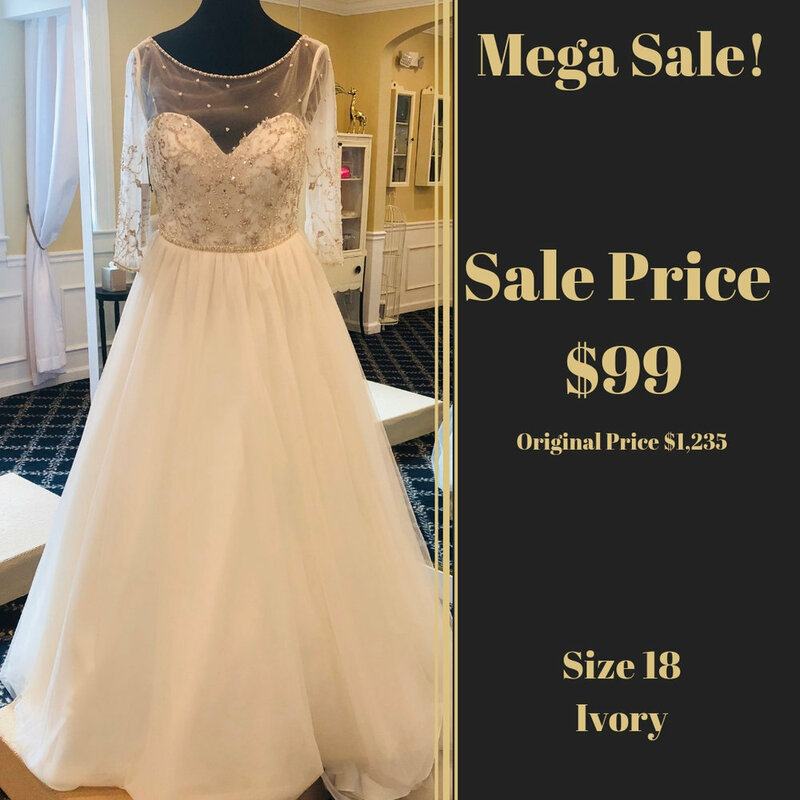 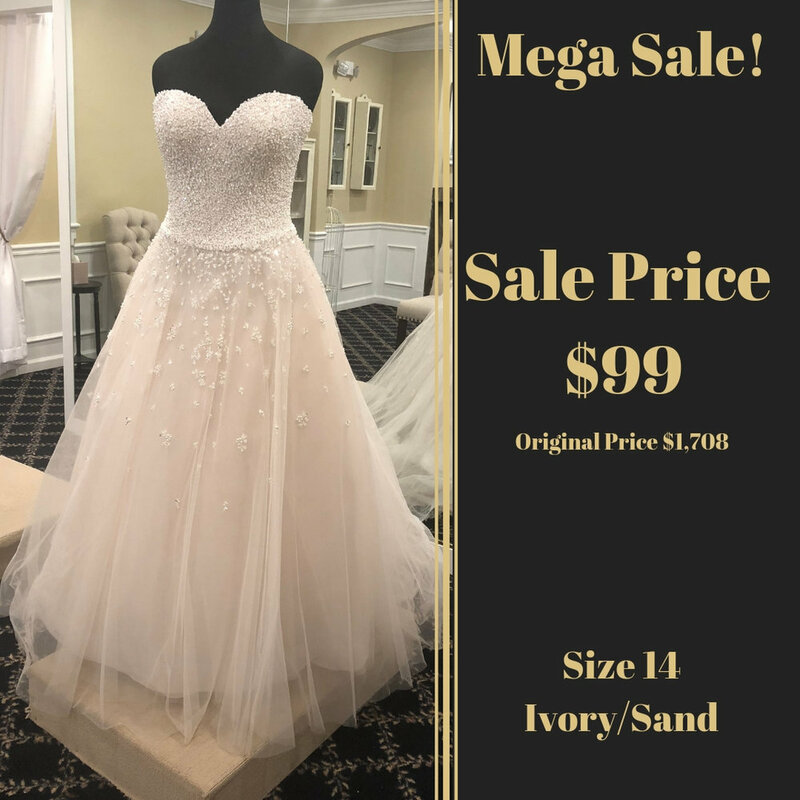 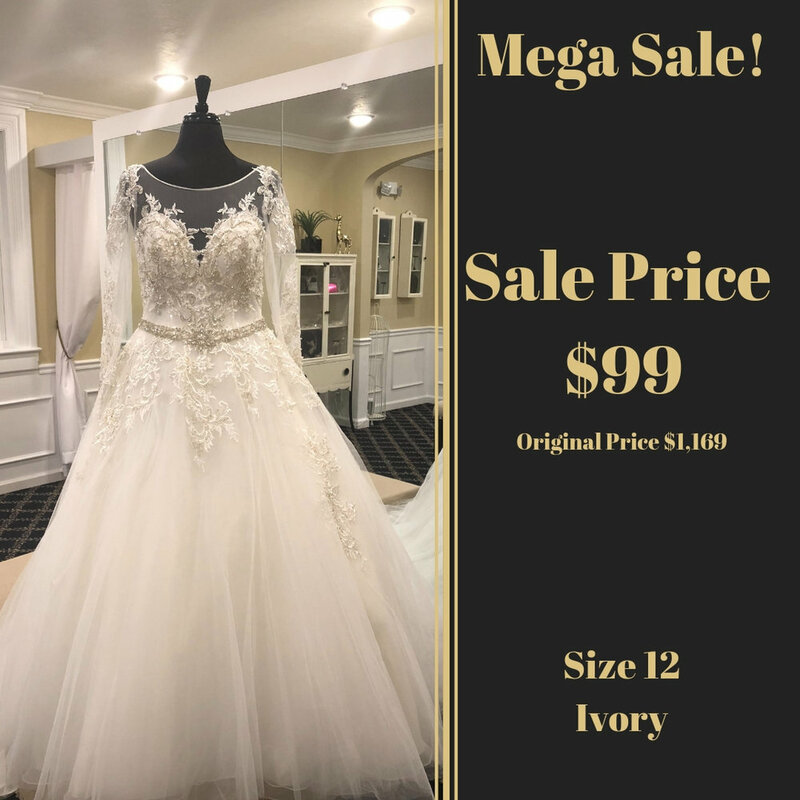 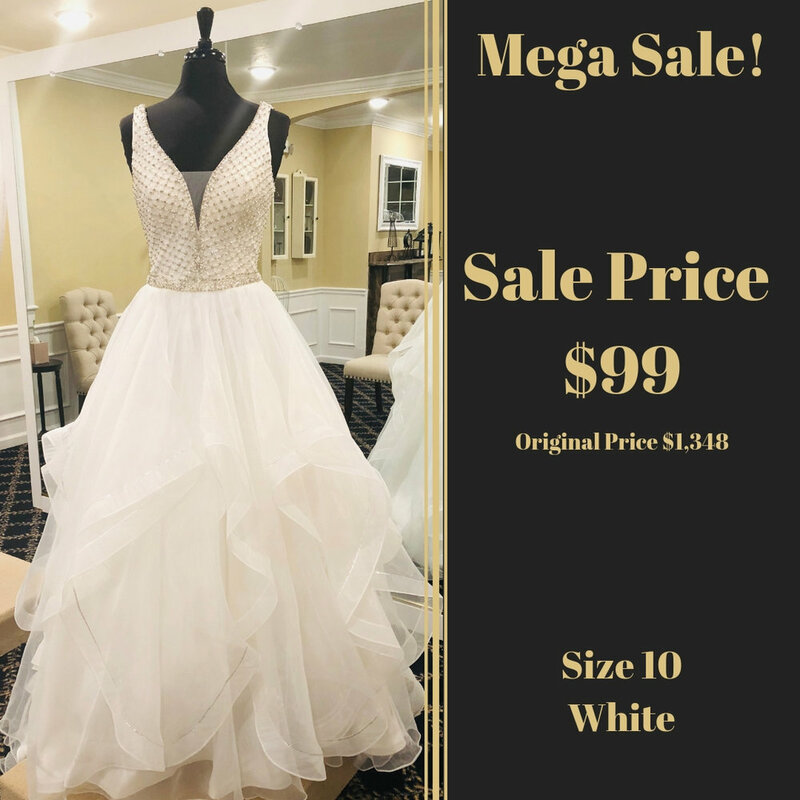 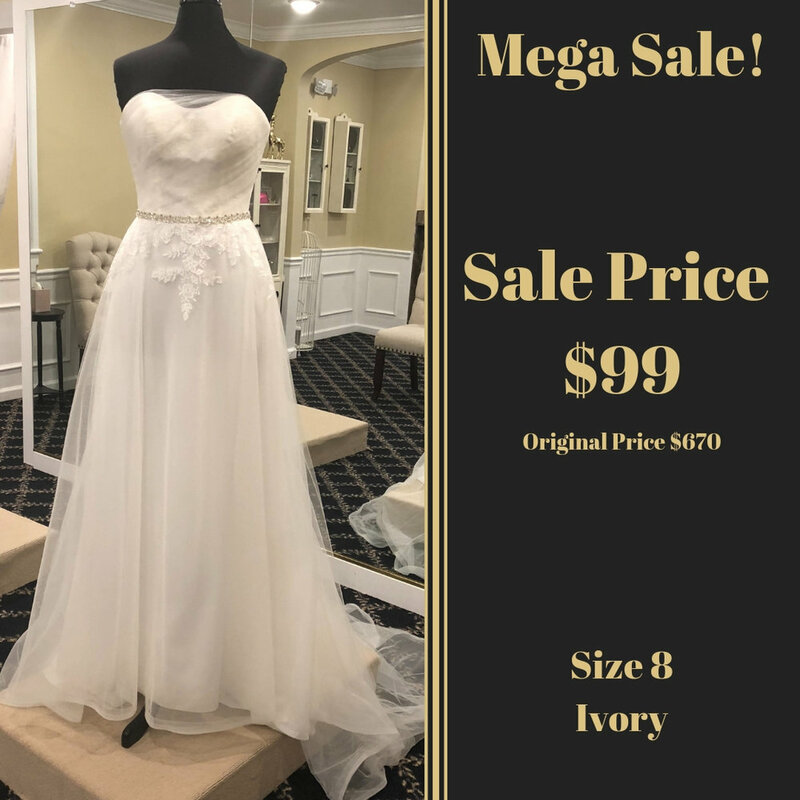 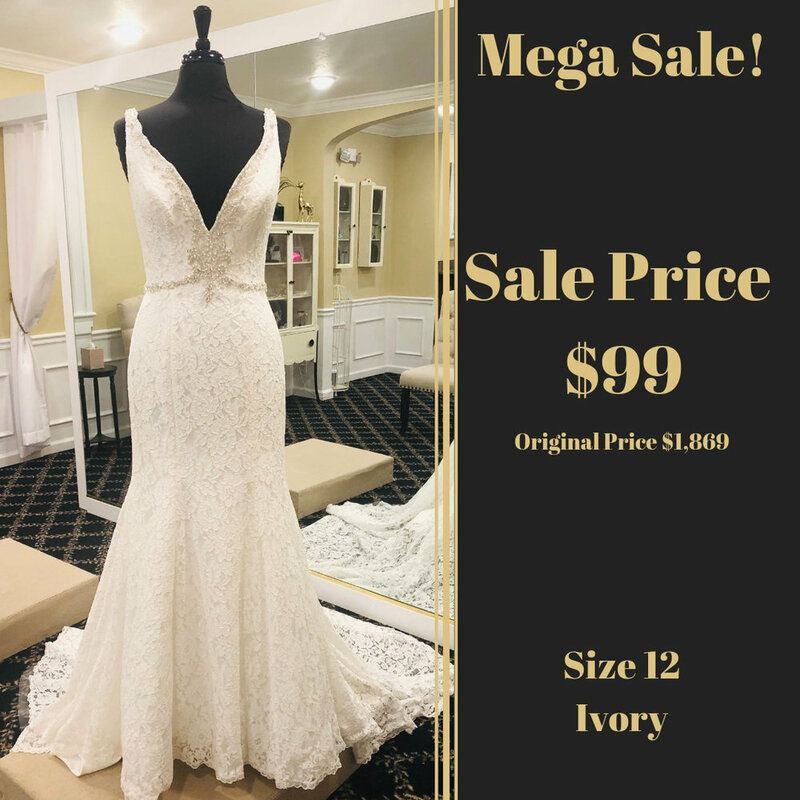 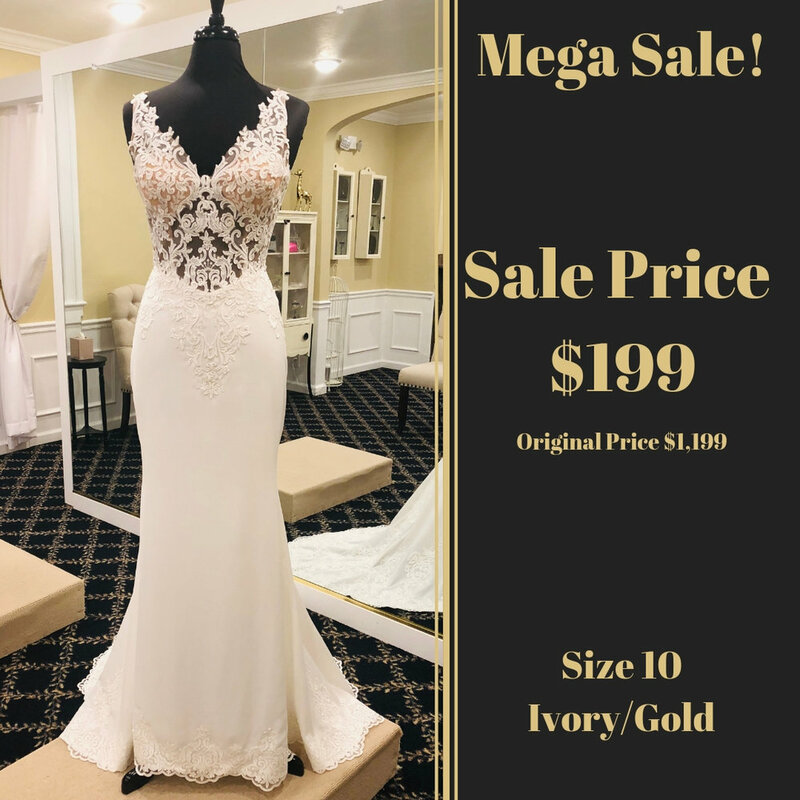 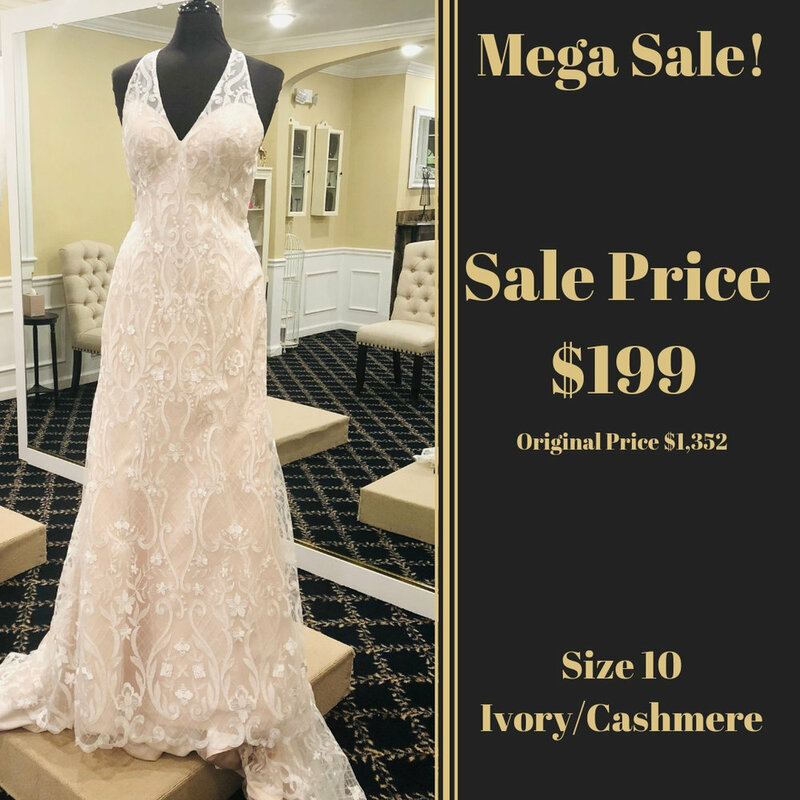 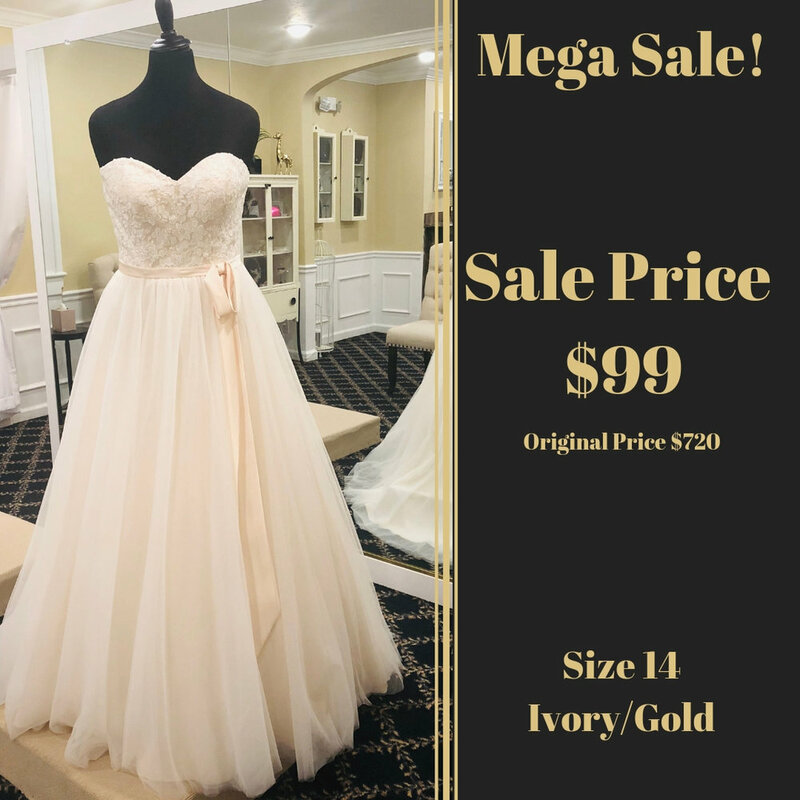 Select sample dresses will be on a MEGA SALE!! 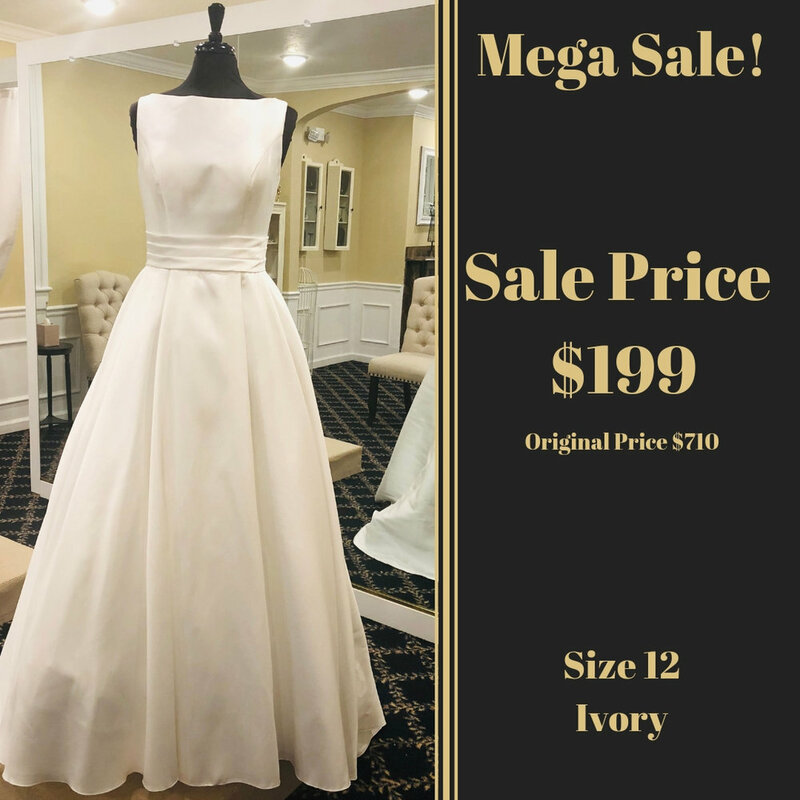 Designer wedding dresses will be starting at just $99. 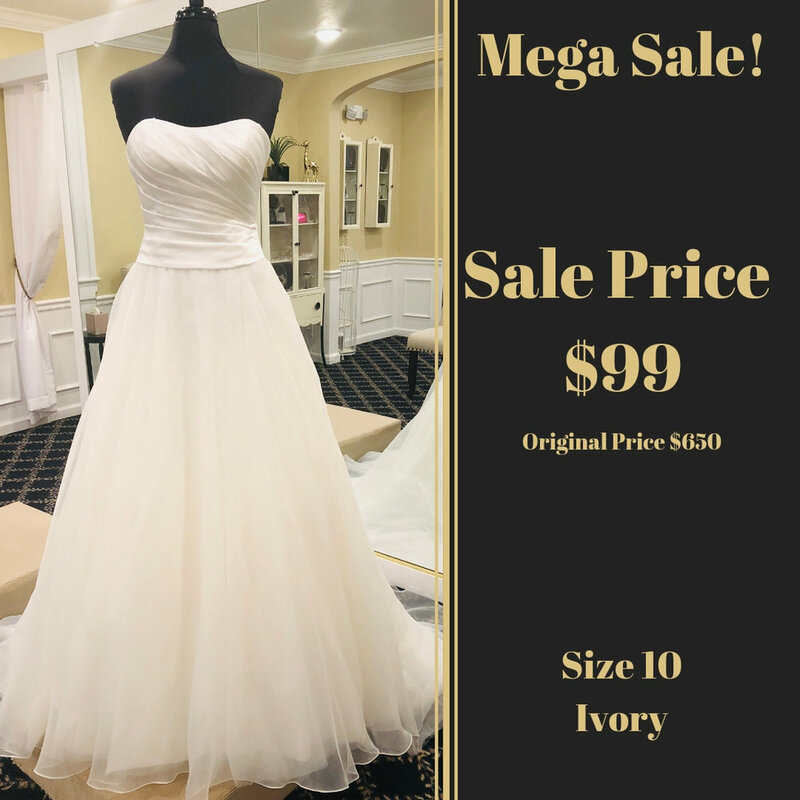 There are many different styles, colors, and sizes to meet every brides dream dress. 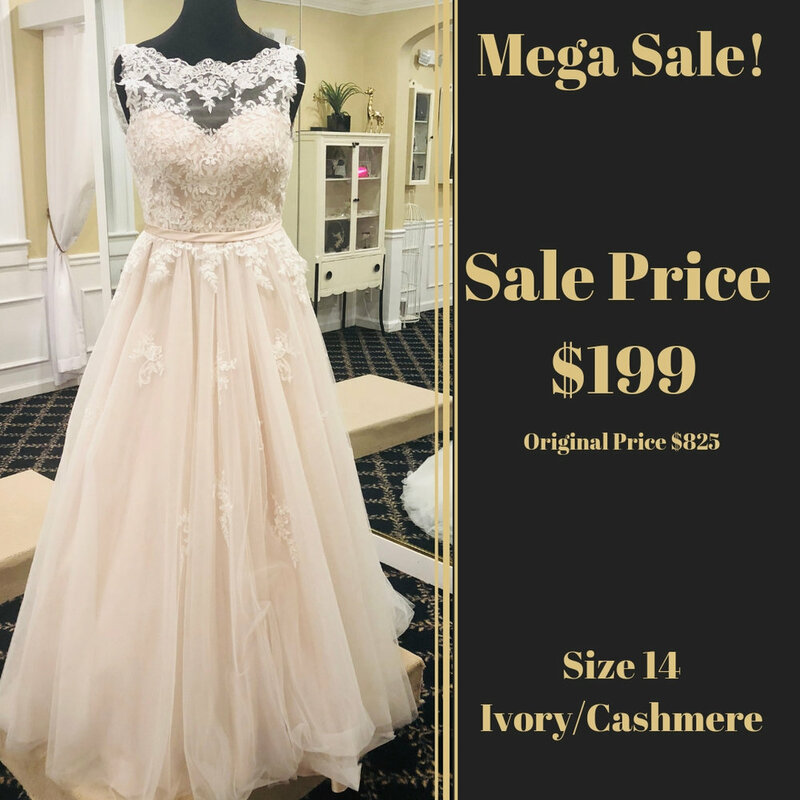 The dresses on sale range from size 8 to size 22W.